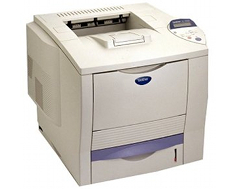 The Brother HL-7050 printer is very similar to the prior model in this Brother series, the Brother HL-6050, which offered most of the same heavy duty hardware. This time around brother added a few additional improvements such as greater memory expansion options and updated software. While the Brother HL-7050 comes complete with a respectable 32 MBs of on board memory, and its predecessor allowed for expansion of up to 160 MBs total. This model improves on the memory boosting possibilities by leaving room for as much as 288 MBs of RAM. With this much memory, this device truly does become one designed for massive imagery output, and can be great for printing large quantities of very complex material, such as mixed text and pictures. With print speeds of up to 30 pages per minute, wait times will be extremely minimal when dealing with the Brother HL-7050, even when printing huge stacks of documents and other material. Its print resolution is also exceptional, with 1200 x 1200 true resolution that does not rely on any image enhancement tricks that many other printers, including Brother ones, do. The paper handling abilities of this printer are very impressive and begin at 600 sheets total which is composed of a 500 sheet standard paper tray and a 100 sheet multipurpose tray. An additional 500 sheets of storage can bring the unit's total paper capacity to 1,100 sheets. In a world of the increasingly popular 250 sheet standard tray, some major storage comes as a great sigh of relief. Though heavy duty small printers such as this are great for large quantities of output, they do come at a price, and can be quite expensive. Buyers may be inclined to find a similar, more recent device that could possibly serve as a better bargain for their business. While USB, Parallel, and even Serial ports are made available on the Brother HL-7050, it is unfortunately not network ready. Workgroups who wish to utilize Ethernet technology to maximize the productivity of this investment may get stuck purchasing expensive network cards separately, or wireless devices. Having the extra space for paper storage does come at the cost of less space in the office, and the Brother HL-7050 stands at a mighty footprint of 16.6 in. x 19.1 in. x 18.9 in. with a heavy weight of over fifty pounds. Home users considering the purchase of an office level printer such as this should be very cautious of how much space they have in their home office before burdening it down with a fifty pound printer. 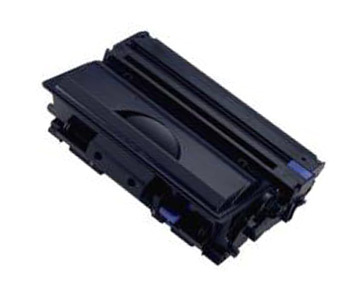 Review it: "Brother HL-7050 "
Another one of the improvements that the Brother HL-7050 made over to 6050 is the increase in page yield in the device's toner cartridge and drum units. While the 6050 had an already impressive 30,000 page yield on the drum, this printer offers a yield as high as 40,000. 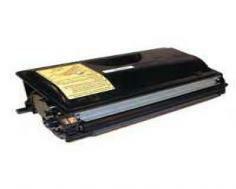 The toner cartridge has also been drastically upgraded from a 7,000 page yield to 12,000 at 5% coverage.